A beautiful home in Francisville you simply need to see! Found on a lovely residential street, this home welcomes all from top to bottom. Enter and admire features such as hardwood flooring, recessed and open floor plan, ready and waiting for any furniture arrangement your heart desires. Continue through to the fabulous kitchen, complete with stainless steel appliances, sleek countertops, a kitchen island with seating and lovely pendant lighting. Upstairs, the second floor reveals a spacious, light filled bedroom with Juliet balcony and ample closet space, as well as a lovely hall bath with dual vanity, tiled flooring and a custom tiled shower with a frameless glass enclosure. Continue upstairs to discover the master bedroom, which also features a Juliet balcony, tons of closet space and its own bathroom with dual vanity and shower with floor to ceiling tile & frameless glass enclosure. Be sure to head all the way up to the spacious roofdeck, with includes stunning 360 degree views of the city! Still not enough room for you? Take a look through the full, finished basement which is ready and waiting to become a media room, home office, rec room- your choice! The basement also includes laundry for your comfort and convenience. The home also includes a rear patio that~s just the spot for grilling and spending time with friends on those warm weather weekends! 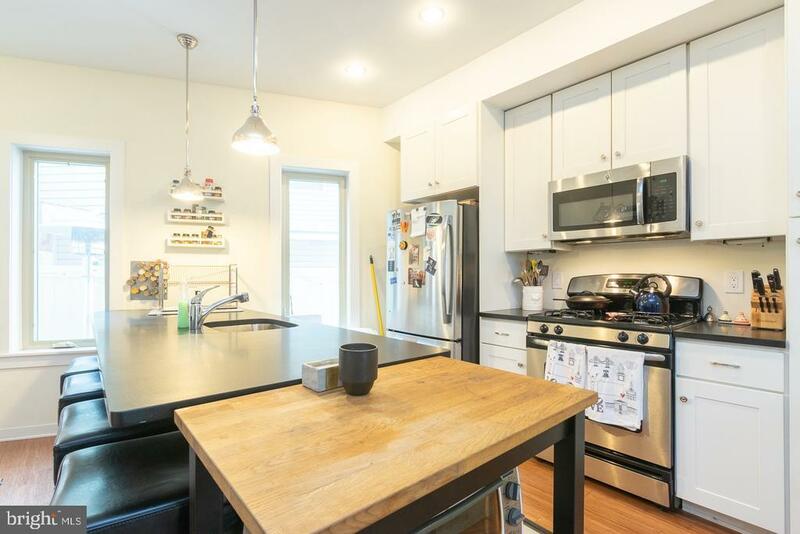 Found near three major parks, as well as the Francisville Rec Center & Playground, this home is also just a few blocks away from bars and eateries such as Tela~s Market & Kitchen, Urban Saloon, Bar Hygge, Fare, A Mano and so much more. With 5 years left on the tax abatement and no HOA fees, this is one you don~t want to miss!